LE CHICK offers valet parking on Friday and Saturday. Street and lot parking is also available in the area. 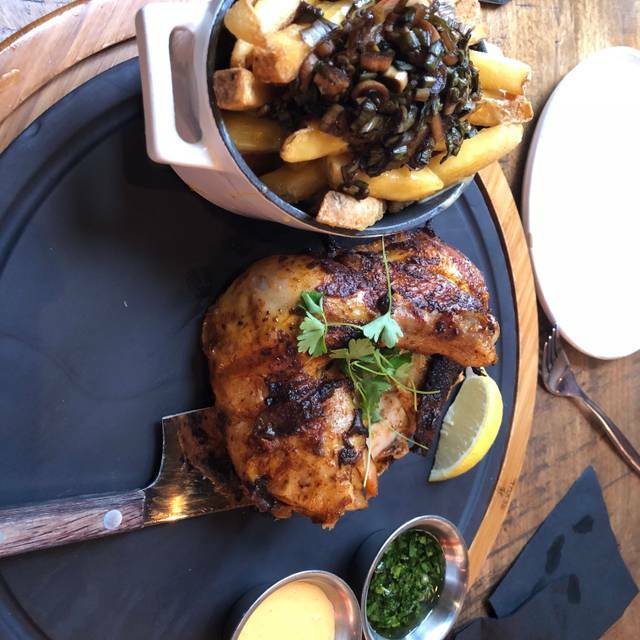 The concept of “Le Chick” was inspired by Rotisserie Amsterdam, the Dutch hotspot known for its delectable rotisserie chicken, burgers, and trendy bar. 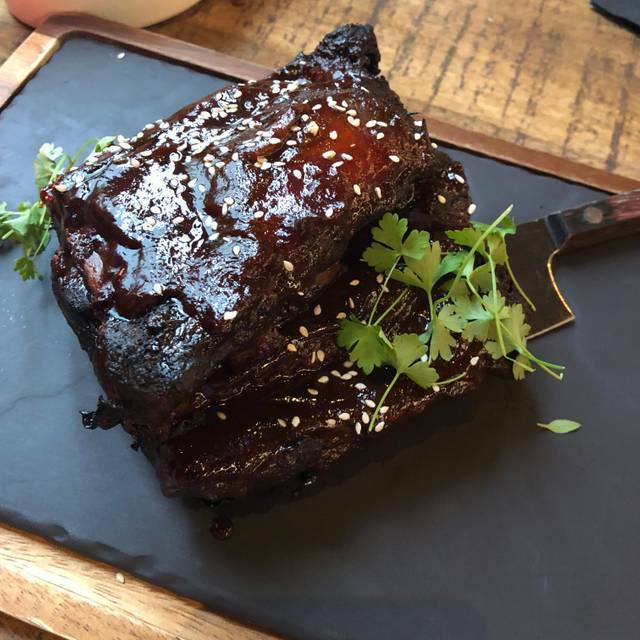 Coco Coig and Jorge Sanchez discovered the concept in 2015, and fell in love with the style of the food, the flavors, and the sophisticated, yet inviting atmosphere. 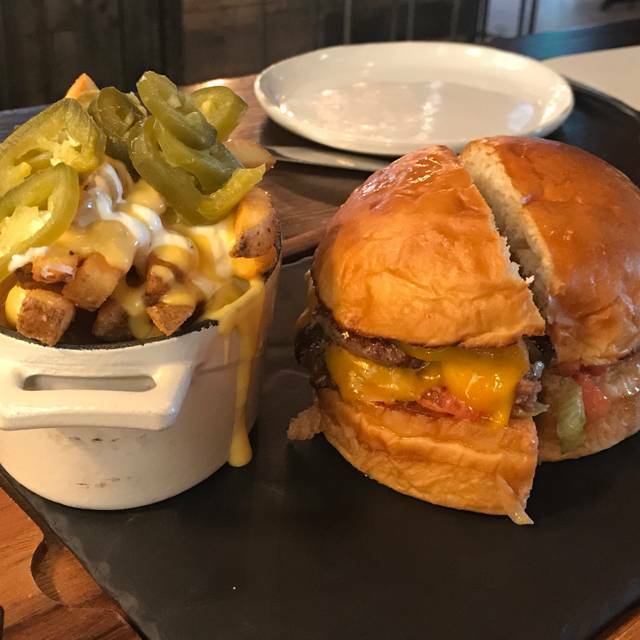 The founders travelled all around the world searching high and low to produce the best burger, making sure that every sauce and every pickle was made from scratch. The restaurants craveable recipes, affordable price point, and cozy bar vibe distinguishes Le Chick as an up-scale casual dining experience for those seeking flavorful comfort food. 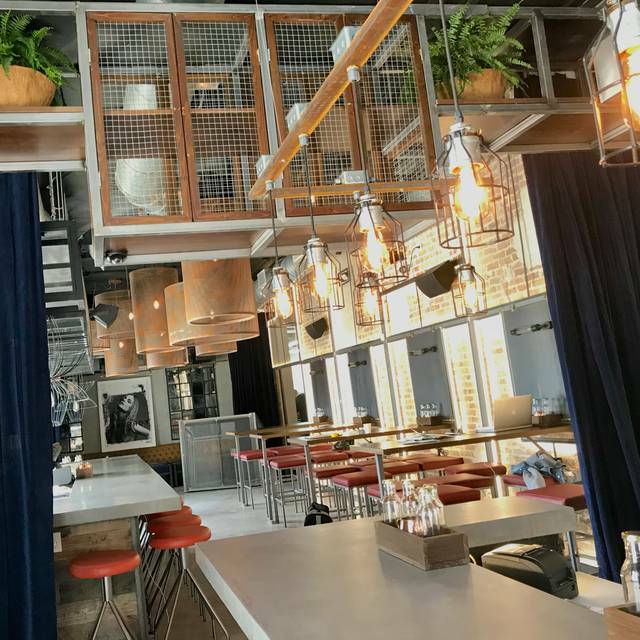 Opening a cozy restaurant in Wynwood with casual food like Mac ‘n cheese, gourmet burgers, smoked baby back ribs and a perfect late-night vibe, has always been our dream. Our approach is straightforward: we source the highest quality ingredients and cook them to perfection. The ambiance was great and the service impeccable but the chicken bun sandwich was too small, meaning the actually chicken was not that big compared to the other parts of the sandwich. But overall it was still good and I would recommend this place. The drinks were on point as well! Initially was seated at high tabletop. Requested hostess to move us to a table due to “birthday” celebrant unable to sit comfortably at a high top on a armless stool. Was offered a bar stool with arms, but still preferred table. Hostess was more than accommodating and within a few minutes a table for 4 opened up. Because we were a party of 3, the tables were separated and a 3rd chair was placed at the end of a table for 2. It was pretty tight and because we tend to order heavy appetizers we requested the tables remain together. Again the hostess was more than willing to try and accommodate of which she did. Seemed like we had to continue to orchestrate our table. We had booked well over 2 weeks in advance. The food was excellent and plated beautifully. Our server guided us on what to order. We particularly enjoyed the chicken app and Brussel sprouts. Our drinks were great, nice selection of beers and desserts were awesome. Wonderful experience. Great restaurant in Wynwood. Just be prepared to valet park and give yourself ample time to make your reservation. Traffic very heavy. Our favorite brunch spot! We’ve been coming for a few weeks now and we love it. They have great food and great service. 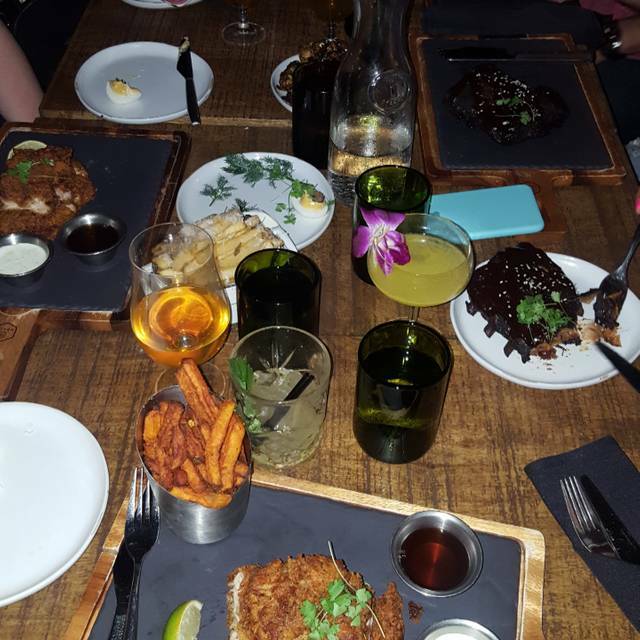 The fried chicken and sticky buns are a must try! Bday celebration!!! And we had a great time - as usual!! Great drinks, great service, highly recommend! Brussell Sprouts crunchy and tasty. Veggie Burger was super sized. Chocolate dessert delicious. Food and drinks and service were great !!! Best Cocktail Ever! Italian Job. I had like 6 and barely ate my dinner. The perfect meal. Delicious food, good value, very friendly staff. Totally like this place! My friend recommended it for dinner on my 'birthday'. Glad we went food was very good tasty! Place is real cute, service good. Definitely will be back! I tried the (seasonal) fried chicken and cinnamon rolls and they were awesome. Great taste and texture combination. Our server was great and made the experience even better. Great place, great food, great service, great location! Excellent food and first class service. 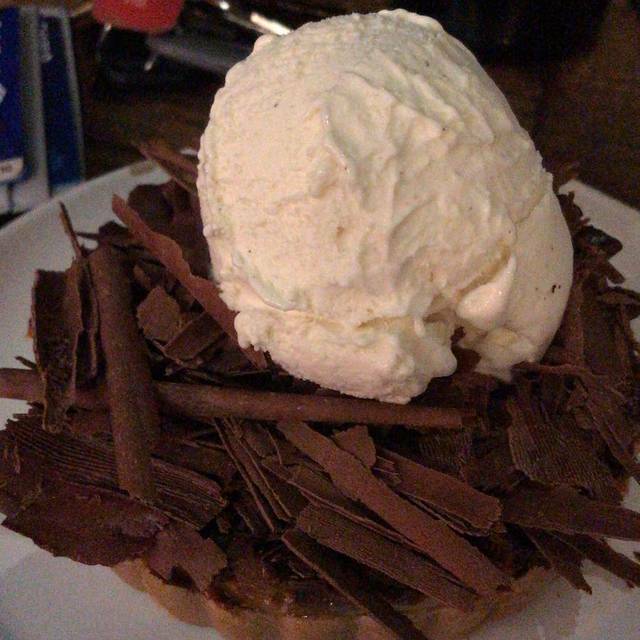 We have eaten at Le Chick on several occasions and the food is always amazing and the desserts are incredible! 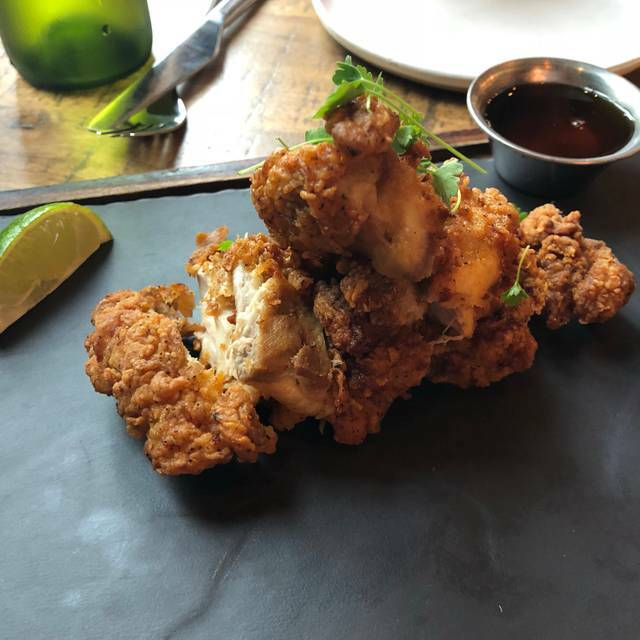 We had a party of 8 who had a great time at this place, happy hour menu was fantastic, excellent food, best fried chicken I've had in a long time. Wait staff were great and accommodating. Wonderful food ,amazing service and great decor. Only downfall a bit to noisy, but then again it was a Sunday brunch on a holiday weekend. Would recommend in a heartbeat . Happen to get there during happy hour and the prices were amazing. Food was excellent especially the Brussel sprouts. Best I’ve ever had! Perfect place! Great service and very tasty food. One of my favourite places. The server only showed up to the table three times. To take the order, to bring the drinks and then the check. Food was okey, nothing fantastic. If you ask me if I would come back maybe to have few drinks in the bar. I keep returning with friends who always love this spot. We were lucky to be able to try the Knausberry farm chicken and cinnabun. It was beyond amazing. Also the truffle deviled eggs. So yummy. Amazing food and service. Creative drinks. Just awesome. Our second visit to this fun pub-style restaurant. I love the salmon burger! The sweet potato fries are wonderful. The grilled salmon was a hit with my friends. The fried chicken burger was also good. They are enthusiastic about their Brussel sprouts so we've had them twice now. The second time they drizzled too much of the sweet sauce on top - so I was less excited. But would order again and request less. Bar is sufficient and tasting wines or draft beers is welcomed. This will be a Wynwood regular for us. Love this place!! Food is always fresh and deliciously prepared. Consistently good eats. Craft cocktails are always a hit. Family of four adults shared Brussels sprouts, fried chicken thighs, ribs with coleslaw, short ribs with vegetables and truffle Parmesan fries. 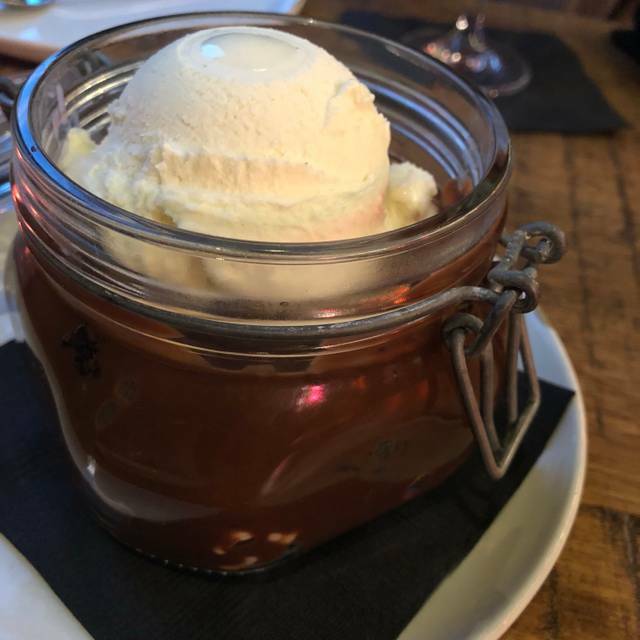 Dessert was also shared, the chocolate goodie jar was so delicious. The meats were succulent. Everything but the coleslaw was supreme. Our waiter Tony was awesome. He was informative and attentive. We were on vacation but would definitely go again if we have an opportunity to visit again. outstanding service. food was great! def our new spot. great customer service from hostess - server- manager. Outstanding place! The quality of the food is remarkable! Absolutely LOVED this restaurant. Anthony was a great server, friendly and cute! Food amazing! I could have eaten the brussell sprouts all night, the deviled eggs were amazing. The chicken bun was GREAT. Would definitely recommend this restaurant. FUN and AMAZING FOOD! Definitely for "foodies". Nice place with lots of great food. Everything is well prepared and the service is great. It's a fun place where you want to spend some time. The drinks were a little skimpy on the alcohol though. Great experience!! Thank you for having us and giving great service! I am obsessed with this place! I LOVE EVERYTHING ABOUT IT. The vibes the FOOD! OMG everything Ive tried has been delicious, the drinks, I don't know whats better. The ambience is amazing gives you a fancy feel but you feel comfortable and relaxed at the same time. I love everything about Le Chick! I would give it 10 stars if I could! This is a nice spot in the middle of Wynwood. The service here was great. Very attentive staff. Short wait for food. Good for dates or small groups. Food and service were impeccable! The burger royale and fried chicken are best I’ve ever had. Everything made from scratch. Staff is super attentive and friendly. Signature craft cocktails are unique and made w fresh ingredients. Love everything about this place!! Has a local feel and definitely a go-to for everyday dining and special occasion. Was there early on Valentine’s Day and had a great time! I’ll be back again soon!! Whole fish not fully cooked. Time to correct the issue took a long time. Had to rush out to make it on time to the concert. What a great spot, we were impressed and happy with everything. Great place for casual dinning . Food was delicious . 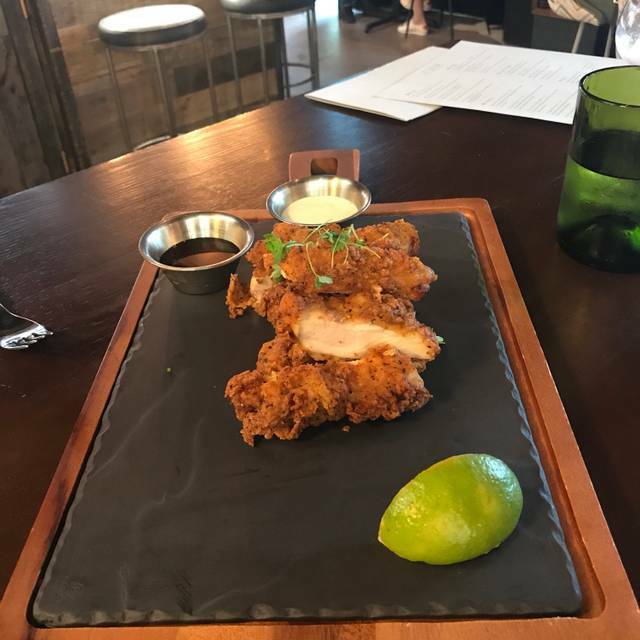 We enjoyed our experience, the fried chicken appetizer was outstanding and the cocktails were unique and very good. The burgers were good.